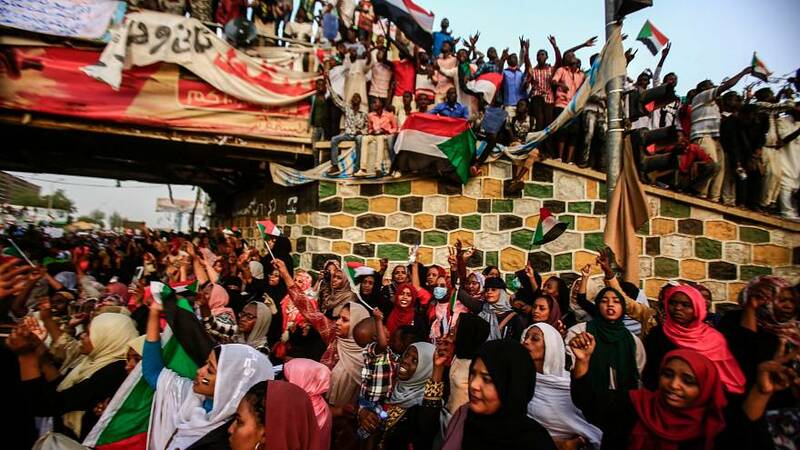 KHARTOUM — Sudan's defense minister stepped down abruptly on Friday as head of the country's transitional ruling military council after only a day in the post, as protesters demanded quicker political change following President Omar al-Bashir's ouster by the armed forces. Lieutenant General Abdel Fattah al-Burhan Abdelrahman will be the new head of the council, Ibn Auf said. The deputy head of the transitional military council, Bashir's former Chief of Staff Kamal Abdelmarouf al-Mahi, was also relieved of his position. The military council said earlier that it expected a pre-election transition to last two years at most or much less if chaos can be avoided. But protests quickly resumed on Thursday, calling for quicker and more substantial change. Several thousand protesters remained in front of the defense ministry compound, and in other parts of the capital, as a nighttime curfew went into effect. Ibn Auf was Bashir's vice president and defense minister and is among a handful of Sudanese commanders whom Washington imposed sanctions on over their alleged role during atrocities committed in the Darfur conflict that began in 2003. Ibn Auf said on Thursday that the former president was being detained in a "safe place." Sudanese sources told Reuters he was at the presidential residence under heavy guard. The council said on Friday it would not extradite Bashir, who has been indicted by the International Criminal Court in The Hague, over accusations of genocide in Darfur during the insurgency that led to the death of an estimated 300,000 people. He denies the allegations.